The city of Dover has grown strength to strength, with a rich historical backdrop, the city which existed during the time of the romans and with pre-historic evidence has survived to this day. The past historical evidence gives a strong picture of what the city was like in the past. The city has come a long way, from the stone age, bronze age and the iron age which showed that there were pre-historic inhabitants of the past. The city has seen archaeological sites which showed that there were many tools and other equipment made by stone used by the early settlers who came in for farming and settled by the river. Many eras and generations of people have exchanged hands and different rulers have taken over the city. The Saxons, Normans and the Elizabethan era are examples. During these periods there had been a lot of activity with many churches and religious places being built. 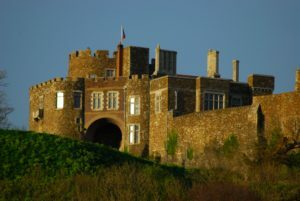 There is archaeological evidence to show that many castles too have been built and the Dover Castle is one such example. Further the city was a fortified Port which served as a military base from time to time. During the 16th to the 18th centuries, the Tudor dynasty took over the Dover city. As the reign of the king Henry VIII came into being, improvements were done to the Dover’s defences which included the castle and the Moat Bulwark. Further improvements were made during the reign of Elizabeth I. There was a time when the French invaded and destroyed most of Dover, however the areas were later repaired. Dover was a garrison town during the Napoleonic Wars and the town was heavily defended against the threat of French invasion. Many forts were built and later in 1804 it was improved with a massive building programme in stone and brick on the Western Heights, which created two cutting edge forts and the Grand Shaft. The towns were linked to the forts which enabled the troops from the hilltop barracks to be deployed rapidly to the seafront. In the 20th century Dover was dominated by the first and Second World Wars and was subsequently affected by the Cold War. During the first World War, Dover was an important military centre in Britain and during this period many individuals crossed Dover on their way to the battlefields of Northern France. The city today serves as a commercial Port area and it is visited by many visitors annually. Sight-seeing of the historical locations and the beauty of the city is very common.